I really want a game where you do parkour as a zombie. The VGX's happened this weekend, and while you might not agree with the results for "x of the year," it was still pretty cool to see some actual game play. Polish developer Techland just can't get enough zombie love, especially of the first person variety. The makers of Dead Island look like they're taking the heavy hitting melee lessons they learned about in that game and applying it to Dying Light. The big shift from Island to Light is instead of being a burly man with a sledgehammer, you can now be a burly man with a sledgehammer who moonlights as a ninja. Here is the game being played live, focusing on some of the sweet jumpin' parkour action. There is a day and night cycle referenced here, but never explored. While zombies shuffle around the clock, at night a more vicious breed pops up seeking sweet, sweet brains. 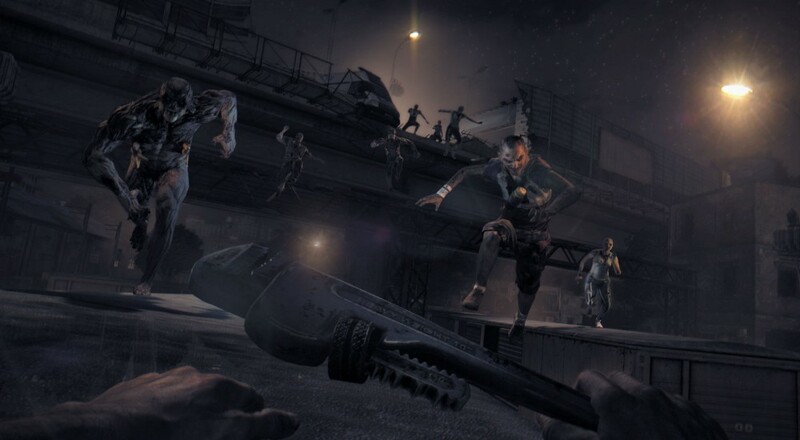 Dying Light is four player co-op, much like Dead Island, but is open world as well. This gameplay demo looked pretty cool. I love games like Mirror's Edge and the like, since I'm not nearly awesome enough to do handsprings off of skyscrapers in real life. Kind of strange they would call the game Dying Light, when they recently put out Dead Island. I guess they name all of their games with the help of a random word generator which can only produce "synonym for death" and "object or thing." What's Next for Dying Light? Page created in 0.2810 seconds.